The dining room in this apartment is so great, and maybe I like it because it has similar furniture to my own! 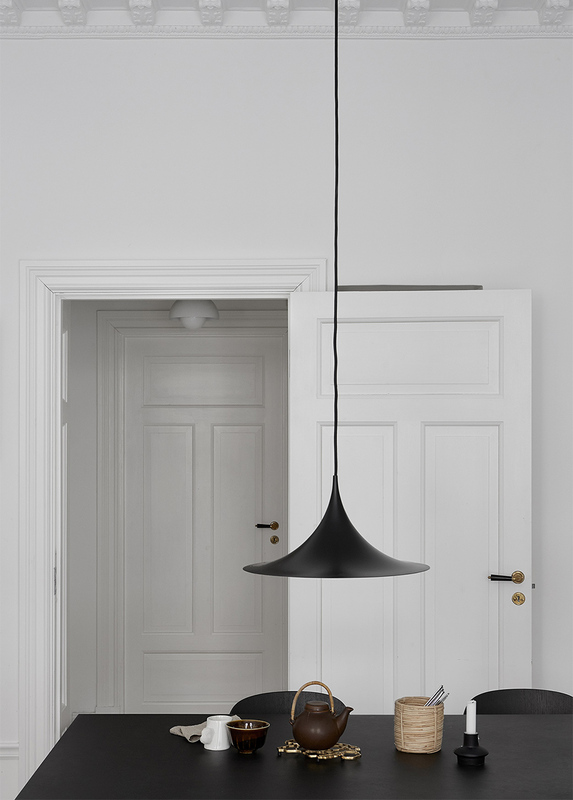 We have the Gubi Semi pendant with a black table, ours is from Muuto, and some Muuto Visu chairs. 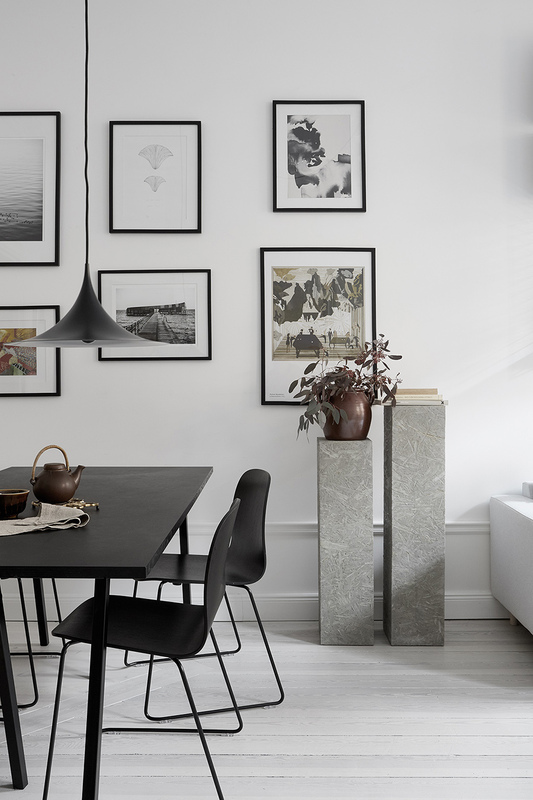 What's even better in this home are the grey pedestals Josefin used to style the room with. Funny enough I have been coveting some tubular pedestal tables, procrastinating though as I' not sure where I'd put them in our small house. As yet I'm still undecided but I'll share ultimately what I end up doing. See above for my pedestal picks along with accessories to sort of 'create the look'. 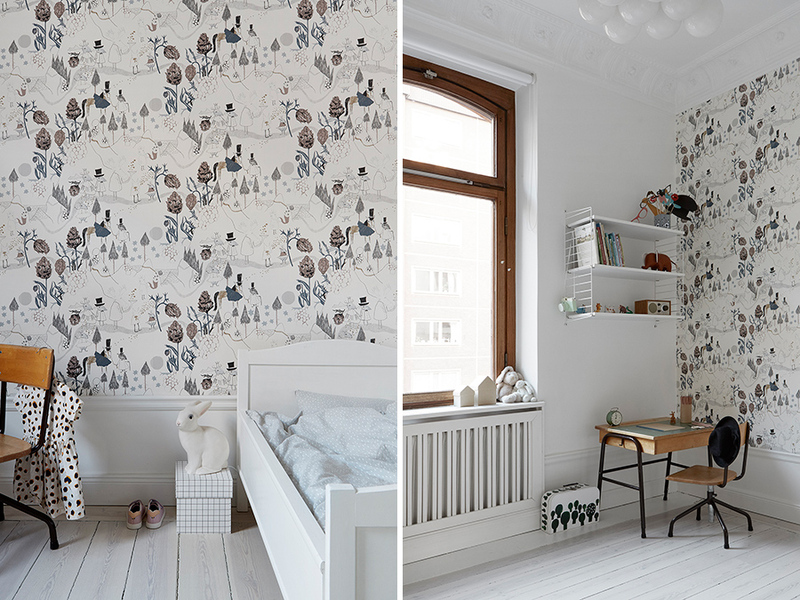 Also this child's room, which I don't talk much about on the blog but I love looking at kids rooms, especially ones with sweet details but still pared back and a bit sparse. 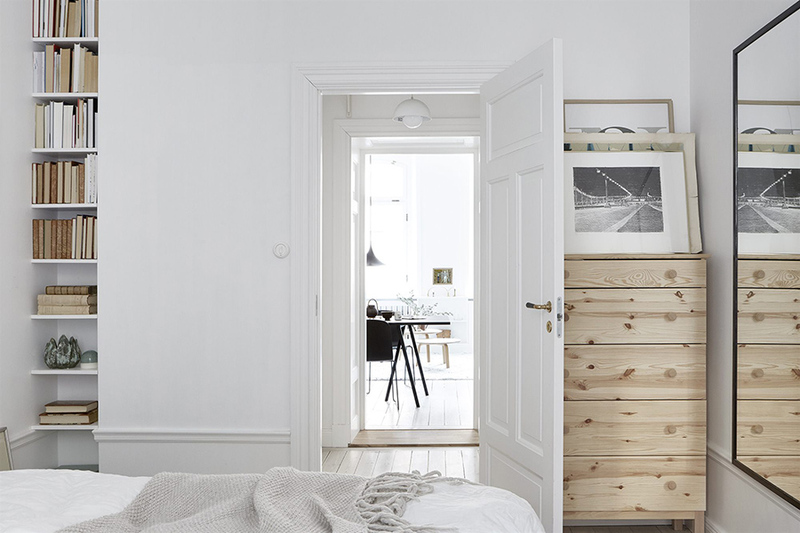 From experience I know it is too easy to let their spaces become overloaded with stuff, so a kids room with 'just enough' is the most appealing to me. Also, you can find the bunny lamp here and grid box here.